The turbocharger on today's engines plays a larger part in engine performance and longevity than ever before. In the past turbochargers have been seen as simple power enhancers, today they are tightly integrated into the emissions system and ECM. This means a turbocharger that is not performing to exacting OEM specs can cause your emissions equipment to prematurely fail or set ECM codes. Be careful when searching for your replacement turbochargers as a bargain may end up costing you much more than the price of the turbo. You need a turbocharger builder/supplier that understands the entire system, that's us. 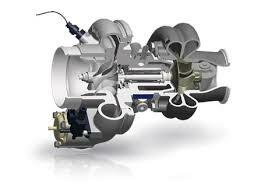 Todays turbochargers use what is referred to as VGT or VVT (Variable Geometry Technology or Variable Vane Technology). In practice this means that the computer can control the volume of the turbine housing on the fly, making a turbocharger respond quicker or flow more. The engine computer can make adjustments to this up to 40 times in one second. If this system is not working exactly as designed it can lead to poor fuel economy, low power or frequent exhaust system regens. 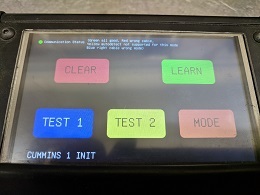 Here at City Diesel we actually design and make the electronic tools (Vane Commander 2) necessary to test these systems and make sure they operate correctly. We also design and manufacture replacement actuators for the cummins 6.7 turbo that does not need to be calibrated. This allows anyone to replace their actuator without special tools. Our electronic tools are used by everyone from independent rebuilders to major OEMS. We have shops from across the country calling and asking for our advice on these new technologies. Stanley is the head of our turbo shop. 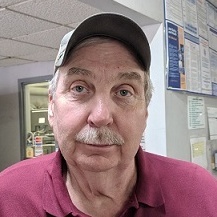 He's been with us for over 28 years and has many years of experience. He has most of the common applications memorized and has forgotten more about turbos than most people know. When you call about a turbo you will probably end up speaking with Stanley. 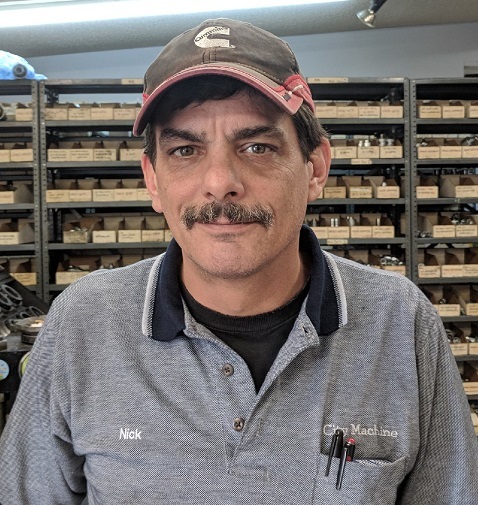 Nick comes from a small engine builder background. He has a great attention to detail and takes great pride in his work. These days he ends up building most of our rebuild turbochargers.